Here we are with a new Lottie and Lisa - yay! 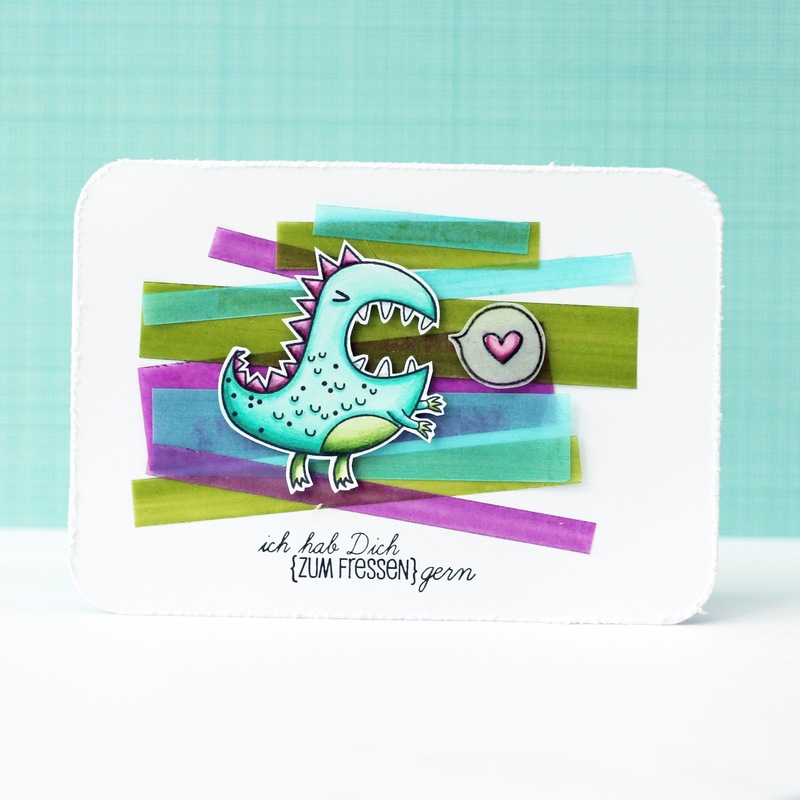 My cute stamps - Eek, a monster! I took out some Simon Says Stamp inks (Hot Mama, Green Leaf, Audrey Blue) als colored my vellum after I cut it in strips. I adhered the strips randomly and added the colored, fussycur monster. (Colored with Copics ans Polychromos Pencils). 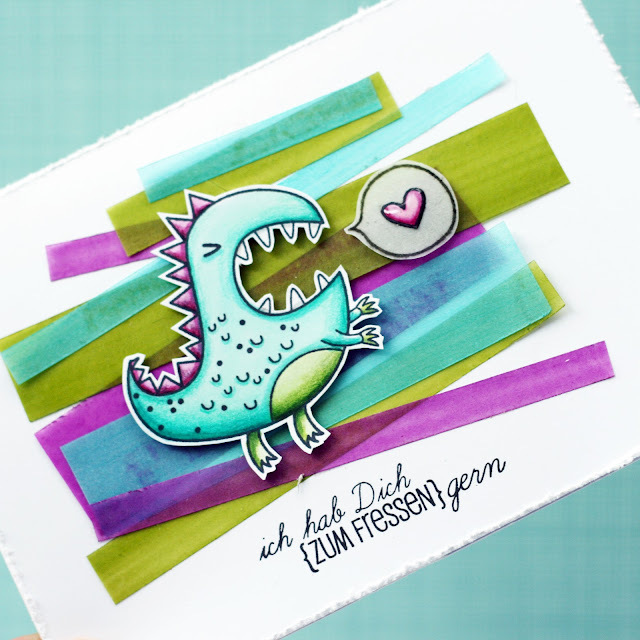 The sentiment is from Create A Smile's stamp set "Monstermäßig". Thanks for stopping by, now hop over to Anni's blog so see what she came up with!